Bagpipes & Concert Pitch? Here’s some context…. 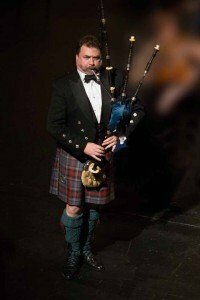 In 2014 while celebrating 20 years as a full-time Seattle bagpiper, Tyrone was asked to be a Guest Soloist with the Yakima Symphony Orchestra. 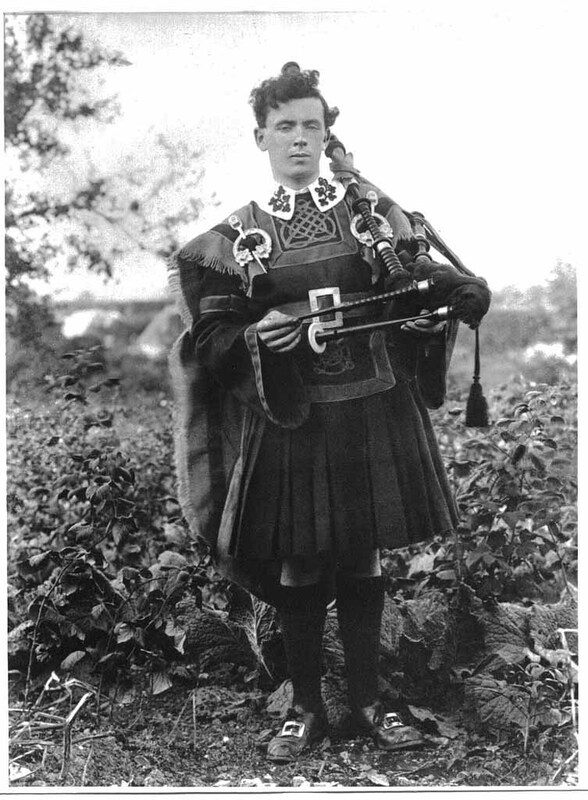 As Lawrence Golan conducted, Tyrone performed on his Grandfather’s bagpipe, ca. 1900, brought from Cty Louth, Ireland when the family immigrated in 1923. Tyrone set the instrument to concert pitch A440 for the performance, using original drones and chanter. Adjusting the instrument to a reliable Concert Pitch was a 26 hour process. It was the first time the instrument was performed in it’s original sound and configuration since grandfather Nicholas Patrick Heade, Sr., played it perhaps 8o years prior. Modern Highland bagpipes are usually set to a self-tone between Bb and B. Pipers work to have all four reeds work together with the strength of the piper to carry steady a steady, pleasant warm tone. Here are some ways to visualize bagpipe sound. To “play well with others”, pipers rely on mouth-blown or bellows-blown pipes with Concert Pitch in mind. Mostly these are Small pipes, which have a cylindrically bored melody chanter. 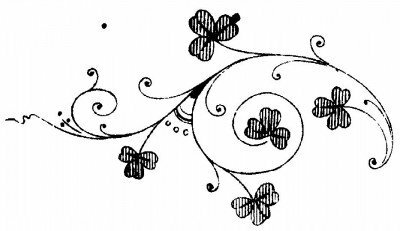 Small pipes have round tone (think Clarinet or Oboe), in the key of A, Bb, D, sometimes C. Small pipes are fine in small/medium sized rooms. In my acoustic ensemble Iona Abbey, they are played with cello, guitar, fiddle, bodhran and banjo. You can easily have a conversation a few feet away, without need to speak above the instrument. The Great Small Pipe is something I created out of parts from two different makers. I often perform in large spaces (St James Cathedral, St. Mark’s Cathedral, chapels in each, churches throughout the west). My Great Small pipe has a round, comfortable sound and volume — but provides more projection and fullness. With Great Small pipes, you can easily still have a conversation close by. Reel Pipes have a conically-bored chanter, offering a bright and highly prominent melody sound. Reel pipes are in the key of A, with a lovely meaningful (and tempering) drone combination. The key of A is the most prominent key for Small pipes. Tyrone four different A instruments, each providing a different volume and timbre.